The Dusit district is home to Thailand’s monarchy and its political institutions. The area is unlike other areas of Bangkok being designed in a European style. There are wide tree-lined avenues and lots of green space. There is abundant sightseeing with many grand buildings including Palaces, Statues, Temples, and Museums. The City Zoo has now closed. The main places of interest are within walking distance of each other and a short walk from the Chao Phraya Express Boat pier. There is no nightlife but the bright lights of Khaosan Road are nearby. There are a few nice riverside restaurants near Thewet Pier. There are not many accommodation options though the Khaosan, Phaya Thai and Rattanakosin areas are nearby. There are no MRT/BTS stations though many buses pass through the area. Taxis and Tuk-Tuks are plentiful but watch out for the cheap Tuk-Tuk tour gem store scam. The Chao Phraya Express Boat has a pier at Thewet. It’s a 10-minute walk to the main Dusit sights. Unfortunately, the area has become temporarily devalued as a sightseeing area. 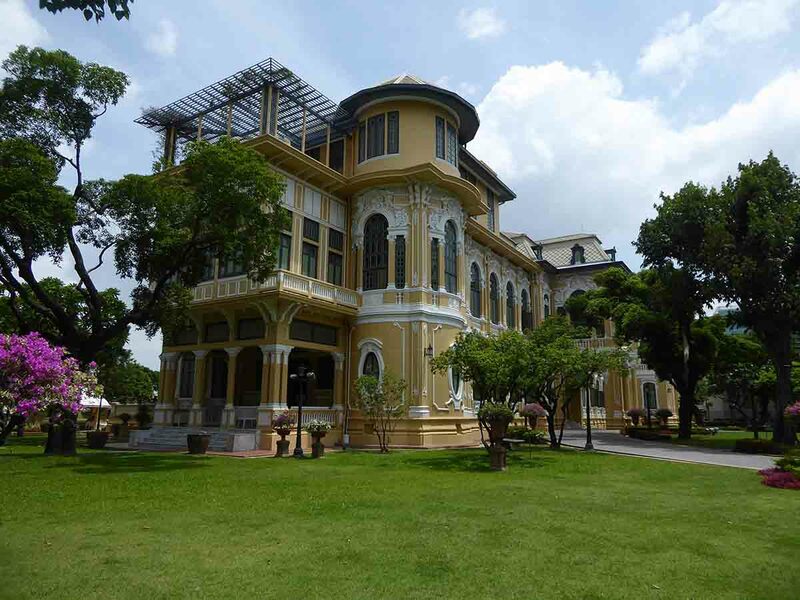 Ananta Samakhom Throne Hall and Vimanmek Mansion are both closed for renovations. 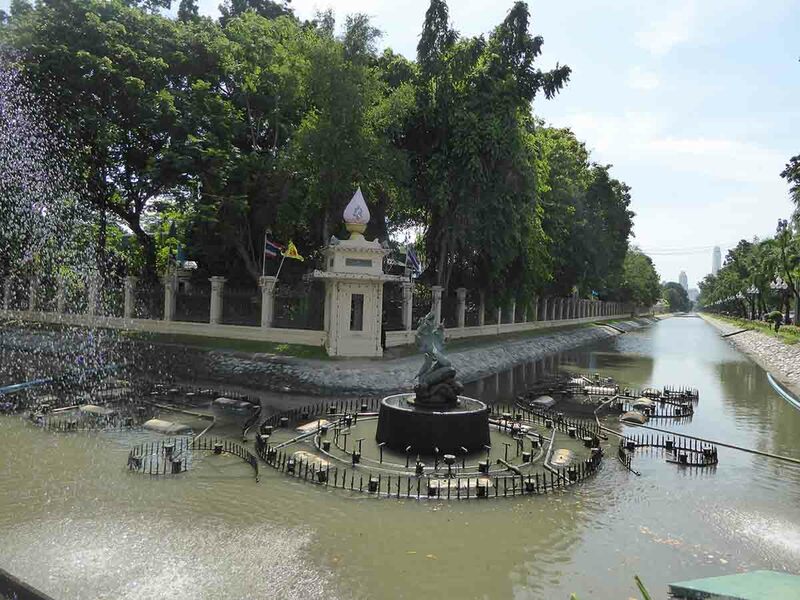 Abishek Dusit Throne Hall and the Zoo have both closed permanently.